. 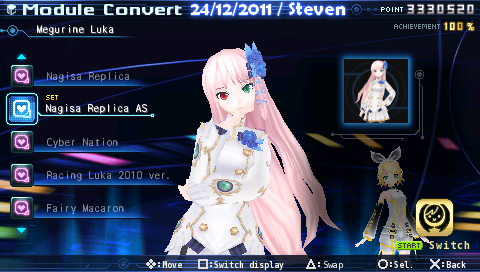 You need a PSP with CFW. 1.Download all parts and extract them. 2.Copy the .ISO to the ISO folder on the PSP memory card. 3.Copy the “divapatch” folder into the “seplugins” folder. 5. Restart the VSH by choosing the option in the Recovery Menu (press SELECT on the XMB) or restart PSP (3 seconds power button and turn PSP back on, slower option).Then start the game ! 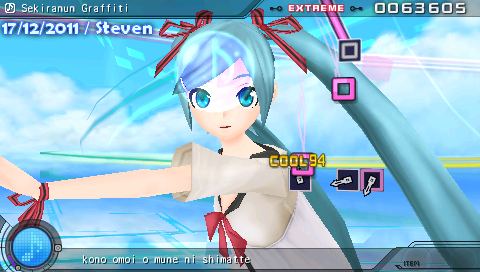 Miku is back again to extend her show with more songs, more costumes and better gameplay. This new game comes with 4 difficulty options, from the one button Easy mode to the four button Hard and Extreme modes. Long presses and simultaneous pressings from the previous game show up again, and with Extreme, the arrangement of button sequences will pose a challenge to even the most flexible thumbs. 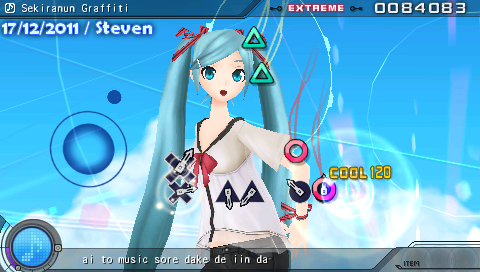 Songs from the arcade games such as Melody makes its way into the collection, and attend Miku’s live concert in Spica. The more points you get, the quicker you can unlock Miku’s outfit, dress her up as Sonic the Hedgehog, a race queen, or a glamour singer from the galaxy. 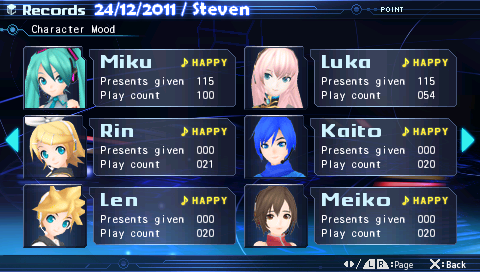 Her friends such as Rin, Len, Luka, Meiko and Kaito, too get new outfits. English Patch info: This patch comes in a plugin, the author made it in a way i can’t insert it on the iso itself, you have to copy the plugin to your psp enable it and the game will be in English, you can’t do this with an emulator as far as i know (PPSSPP doesn’t support plugins). Psp Games Download – At the present, more than 1600 free PSP, PPSSPP games are loaded on the Website and it has still been in process of building, finishing the contents, so I hope that most of free PSP, PPSSPP games could be updated as soon as possible. Introducing it to people by sharing its link for your friends, family members who own PSP, PPSSPP through out Facebook, and other website. Thanks!! !